Training to achieve your goals takes time and dedication. You need to know the training you are doing is helping you to maximise your performance for race day. Here, at JC Performance Coaching we are passionate about helping you to improve and reach your goals. Besides following a structured training plan specific to you, we also pride ourselves on the fact we help motivate, support, encourage, mentor, and understand you as an individual and an athlete. We can help you to take your performance to the next level whilst supporting your professional and personal commitments. So, whether you are a seasoned athlete, a novice or working towards gaining your GB vest, we CAN help you to achieve your goal. Our plans are delivered via a coaching programme called XHALE. You can assess this via your desktop or mobile devices. This enables us to have daily contact 365 days a year if you wish to. Janette herself represents GB and has won European Gold and World Championships Silver medals. 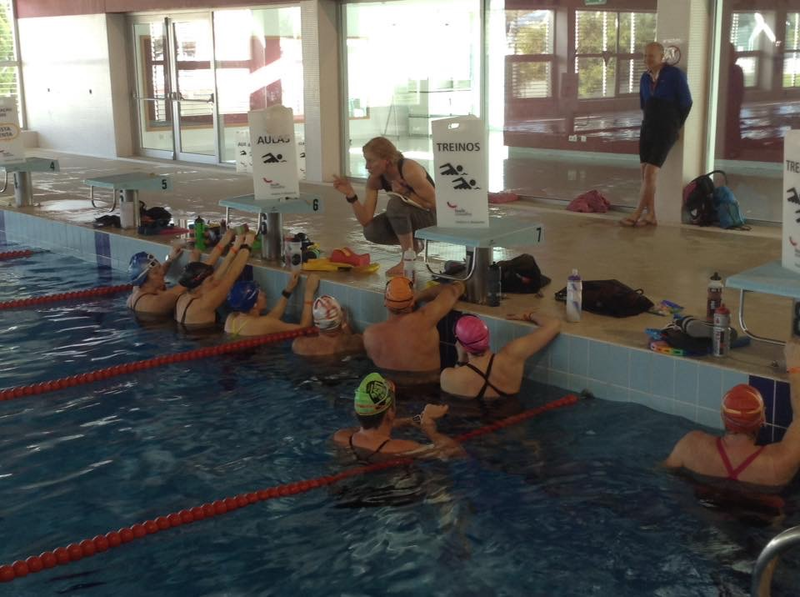 Training from British Open Water Champion, European Aquathlon Gold medallist and Silver World Championship medallist. Working with a qualified coach to assess your technique and working with you to improve it. For open water, we address water confidence, sighting, drafting, swimming round the buoy etc. Contact Janette directly to discuss venues and prices. We have access to a few lakes but mostly our 1:1 sessions are at a private lake in Witney. You dont need to be a member if you are being coached by us. 1:1 and small group training can be arranged just by emailing us directly and a time and day is chosen to suit both parties. Would you like to improve your bike skills and confidence with better bike handling skills? We regularly run workshops and events for cycling skills and transition practice. Contact us directly to check when our next event will be. to help you to improve your performance. Most of our coached athletes also attend our weekly Fitness Pilates class either at Witney or in Oxford. Run drills, skills and technique improvements to make you a more efficient runner. Drills and tips to take away with you. Meet with one of our team to discuss improvements, your season ahead, training scheduling and how to write your own training plan. You might not be ready to be coached so this consultation is so valuable in giving you the skills to structure, plan and select the best races for you. You choose which aspects of training you wish to focus on. Have your own personal coach for half a day. For further information and to discuss your training needs, visit our contact page. Personal training is perfect for you if you want a bespoke and personalised fitness programme. We run small group and individual personal training programmes as well as offering themed packages based around goal achievement. The benefits of personal training are that we can deliver specific results by listening to what you want to achieve whilst keeping you physically challenged and mentally focused. Training is usually once or twice a week with a JC Fitness trainer for a period of time to achieve your goal or goals.